Hayao Miyazaki (IMDb page) is a Japanese film director. His 2001 animated film Spirited Away is the highest-grossing movie of all time in Japan, and won the Oscar for Best Animated Feature in 2003. He is widely considered to be one of the greatest animated filmmakers in history. 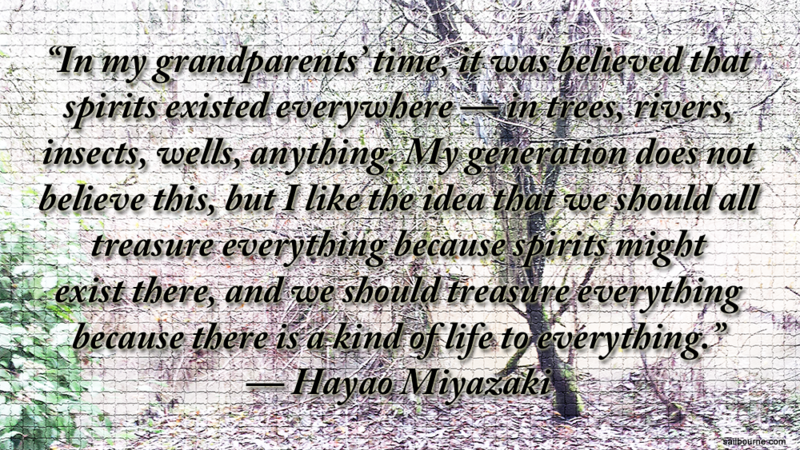 This quotation reflects an important theme in many of Miyazaki’s films, from Nausicaa of the Valley of the Wind, Spirited Away, and Princess Mononoke.